The scanning, which can be deployed using planes or drones, may help control the spread of infection and save southern Europe's iconic tree. Xylella fastidiosa is a devastating bacterium, transmitted by common sap-feeding insects, which causes disease in over 350 plant species. Olive trees are especially vulnerable, with the bacteria causing branches and twigs to wither, and leaves to appear scorched. 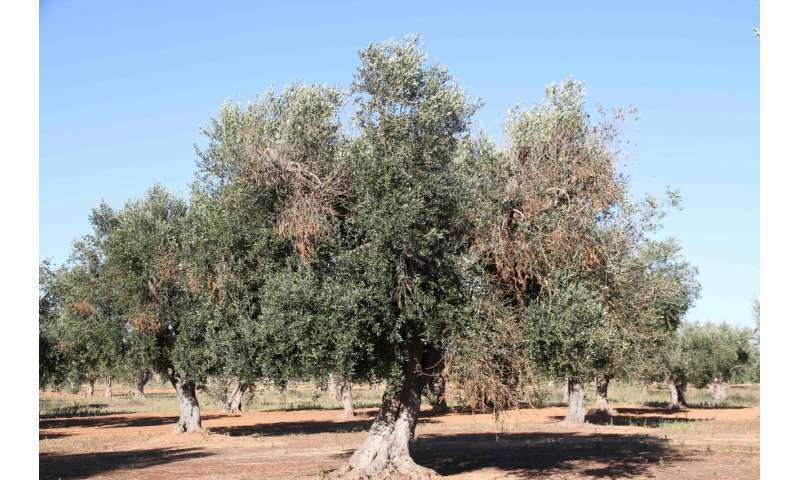 Common in the Americas but only recently discovered in Europe, Xylella is spreading around the Mediterranean, with many orchards already destroyed in Italy's olive-oil-producing Apulia region. As there is no cure, the only way to stop the disease's progress is to cull infected trees, with earlier diagnoses being the key to more effective containment. 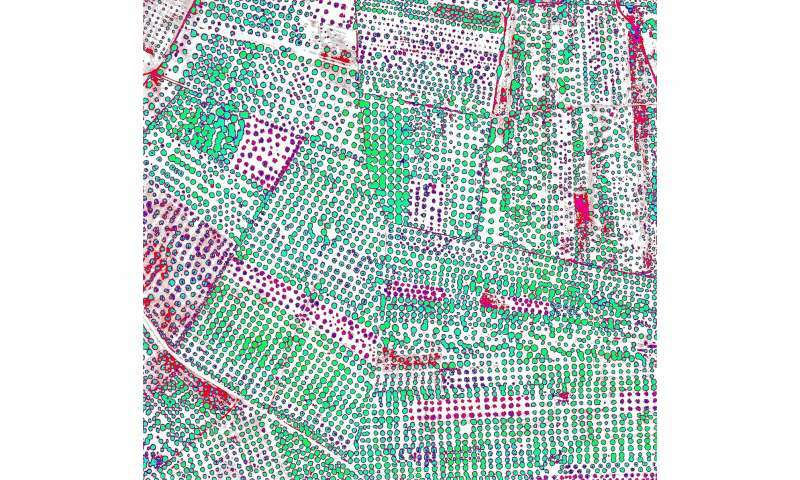 Pablo Zarco-Tejada of the European Commission, together with experts from Swansea University and other European institutions, used special cameras, fitted aboard a small plane, to perform both hyperspectral (looking across the entire electromagnetic range) and thermal image analyses of orchards. The authors then tested olive trees on the ground for Xylella infection. Professor Peter North, from the Department of Geography at Swansea University, one of the authors of the research, said: "Our study found that the effects of the bacterial infection can be remotely detected before any visible symptoms appear, allowing for rapid and accurate mapping of Xylella-infected olive trees across target orchards". Dr. Rocio Hernandez-Clemente, a geographer and member of the research team from Swansea University, added: "The spread of plant diseases is predicted to become an increasing problem with climate change, including for the UK. International cooperation is essential for early detection, to control damage and prevent spread. This study demonstrates the possibility of detection of symptoms at an early stage, and may be adapted to drones and aircraft for widespread use". The paper 'Previsual symptoms of Xylella fastidiosa infection revealed in spectral plant-trait alterations' is available on Nature Plants' website.